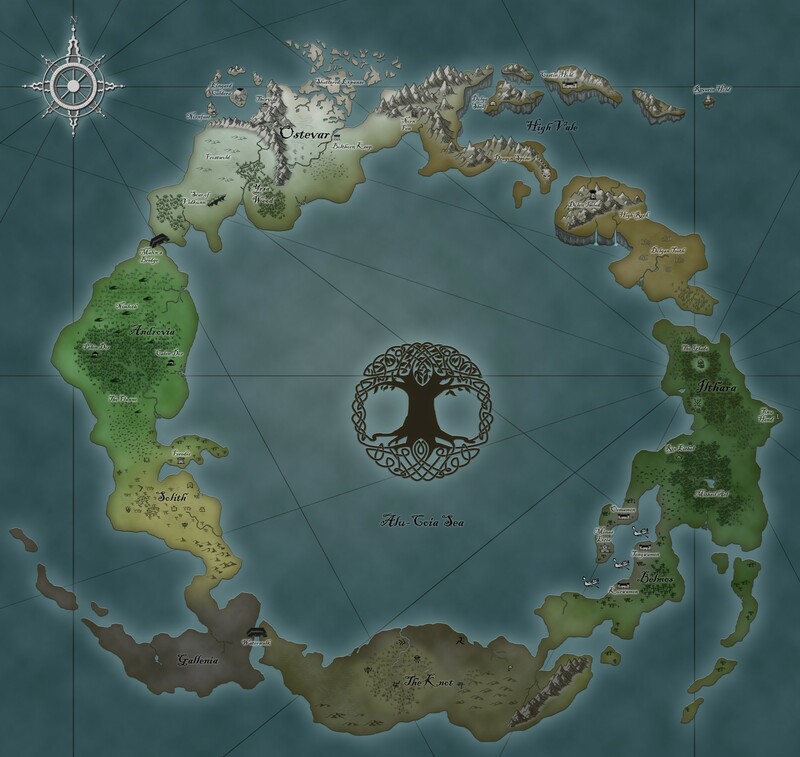 Note: The adventurers of Northwatch are still gathering information about the Arbor Isles, as they have only recently gained access to explore it. Check back as more information is added to the Library regarding this realm. Once upon a time, each of the kingdoms within the Arbor Isles was safeguarded by one of the seven Fey Heralds, children of Oberon and Titania. The islands were a paridise of magic and harmony. Now, it is a shadow of what it once was. An extremist group of fanatics has risen to power and swept through the kingdoms, seeking to detroy magic in all its forms. These crusaders call themselves the Ebon Hand. They’ve converted, brianwashed or otherwise coerced many of the citizens to fight on their behalf, forcing those who would rebel against them to flee and hide. The Fey Heralds all went missing, leaving the citizens to fend for themselves–people who knew nothing of war or death. In addition, the magic that once allowed the people of the Arbor Isles to be reformed in the Light-Gates no longer functioned, causing multitueds of spirits to wander lost over the land. The more powerful beings, when killed, returned as undead and now pose a serious threat to the few who survied. But all hope was not lost. Riharri, one of the seven heralds appeared in Northwatch in the summer of 218 PB. She sought the aid of the adventurers, asking them to venture into the Isles to discover what fate had befallen her siblings, what happened to the magic, and why she is unable to return to her kingdom. Here is the information I promised. I’m happy to tell you what I can, but I’m afraid many of the things I knew have proven to be less than viable– and rather out-of-date. Hopefully some of this, at least, will be of some use. My brothers and sisters. There are seven of us in all, each keeping watch over one of the territories in the Arbor Isles. Surmax, the White Stag – He is known to some as Cernunnos, the horned herald. Surmax is the eldest among us. Our quiet guardian. His home is in the far north near the frozen reaches of Ostevar. Alonna, Song of the Sea – On this plane, she is akin to a a Siren of unparalleled beauty and grace. She governs the great city of Belmos. Its architectural wonders have no equal, and must be seen to truly be believed. Winteroak, the Wise – Here, he would be called an Ent. A great collector of wisdom and knowledge. He resides in the heart of Ilthara, amongst the towering city trees of the ancient alfar. Tix, the Master of Wine – He is what some call a Satyr, and one of the most jovial souls you’ll ever meet. A fair prankster too, I should warn. His domain is in the great gardens of Androvia where lush vineyards and rich estates cover the hills for as far as the eye can see. Nephele, the Summer Wind – She is like your winged elves, or Avariel, so it is fitting that she should govern the floating islands of High Vale. The breath of magic gives life to all the Arbor Isles, but none so much as those in High Vale. Elthor, the Hunter – He is similar to the Forest Giants of your world. His gentle hand protects all in Solith. Beasts and creatures without number call his realm home. A place where life and balance coexist. Then, there is me. Riharri, the Dancer. In your land, the beings closest to my likeness are the Nymphs. My domain was that of fair Gallenia. I am the youngest, and I admit, never one to take responsibility too seriously. It has always been my opinion that the wonders of creation are there to be explored and enjoyed, and in each new land, a new dance! So, while my siblings did, on occasion, visit other planes, I preferred the opposite, and would, on occasion, visit home. Now, you tell me the people of my kingdom have started some kind of crusade to eliminate magic and all things created by the heralds? It is a bitter medicine, to be sure. Had I stayed, perhaps I could have swayed the Gallenians from this path. Then again, man has always had a propensity for defiance, and if I’d been there, I might have befallen the same fate as my siblings—whatever that is– and my absence from the Isles now provides an opportunity for rescue. At least I hope it does. Within the magic that flows through my veins, I feel that my brothers and sisters still exist somewhere in the Arbor Isles. Please help me find them. Save them, and we shall all be in your debt. Please share this information with those members of Northwatch who have taken interest in this quest. Until next we meet, safe journeys.